This post includes affiliate links. When you make a puchase via these links, I receive a small percentage. Very small but very appreciated. Thanks for loving ohAmanda! 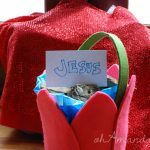 I’m a big fan of using Easter baskets to point our kids to Jesus. In fact, I’m a big fan of using any and every thing to point our kids to Jesus. 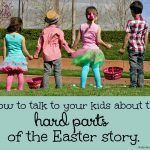 When it comes to something as big and exciting as a giant Easter basket filled with gifts–well, I think we should use some of that shiny-ness to point Jesus’ way, don’t you? 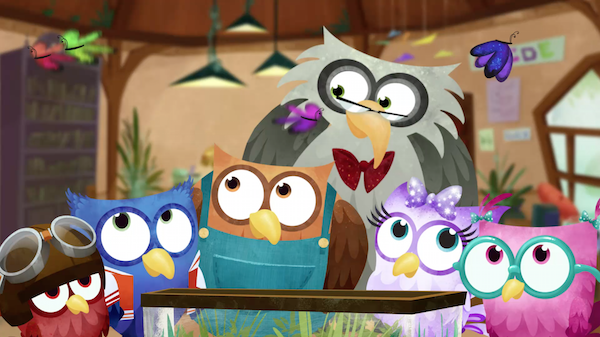 Each mini-episode (about 10 minutes), these owls explore nature and learn something about God from it. 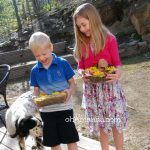 It’s so simple but so exactly what I want to do with my kids and how I really believe God designed us to teach our kids–with object lessons all around us! For example, in Volume 2, the owl friends are supposed to collect some maple syrup for a pancake party but they get sidetracked by some very simple items and come back to their pancake party with nothing. If they had paid attention to the ants around them, they would have learned to be work hard and work as a team and think about the future. It’s incredibly simple and that blatant. 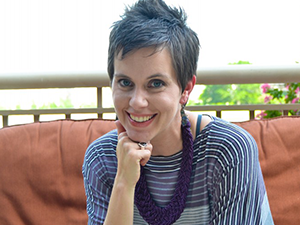 They wrap it up neatly at the end plus, there is always an actual pastor-type person (Matt Chandler, Tony Evans, etc.) who gives a very mini sermon/devotion at the end. 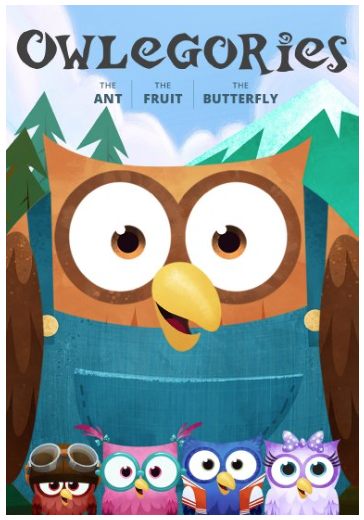 Your children cannot walk away from watching Owlegories without learning something–and with the mini sermon at the end, it helps you put words and action to what you just watched with your kid (please watch movies with your kids!!!). I love the heart, the animation (kinda looks like a picture book), the voices, the humor, the lessons and the great way it can be a tool for parents. 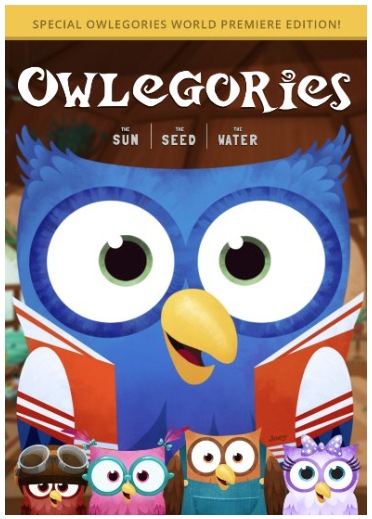 Owlegories should be in your Easter Basket! My kids love stuffed animals. LOVE STUFFED ANIMALS. I’m pretty sure we’ve covered this before. But basically, when we moved I gave them one box each to pack which toys they wanted to bring to tour apartment. Both of them filled their box up with 75% stuffed animals and the rest toys/crafts. It’s all they play with! 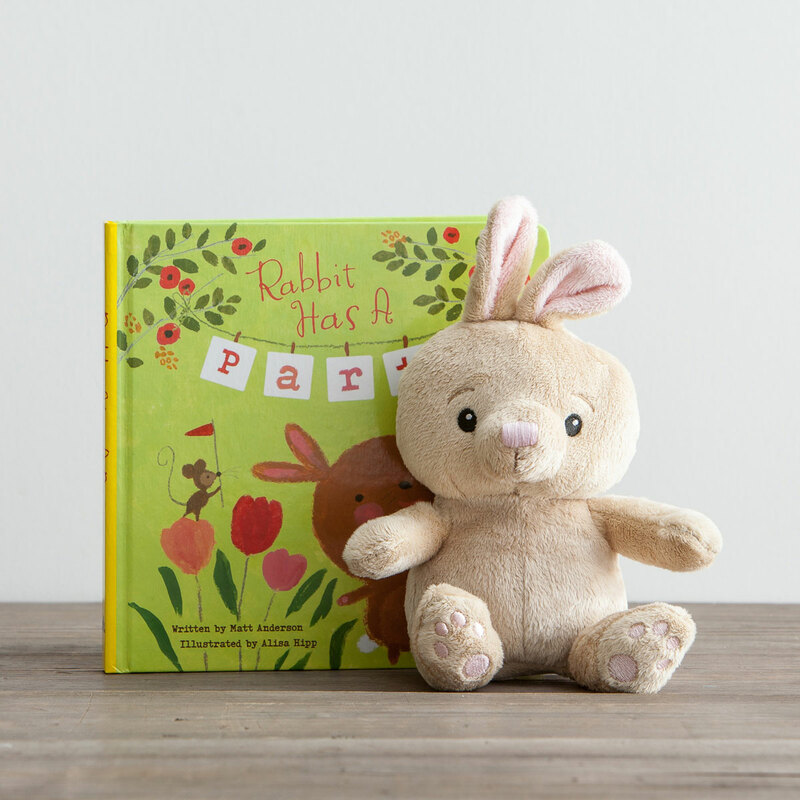 If you do want to go the bunny route, Dayspring has a fun book and plush combo called Rabbit Has a Party and her mouse friend who eats all the cupcakes before it even starts. Rabbit gets to show forgiveness and the all learn how God forgives us. It’s a good story with whimsical illustrations. And yes, the bunny is sooooooooo soft. OK, it doesn’t have to be a seed. But something garden-y is always fun because it’s such a symbol of new life and growth in the Lord. I’ve done mini chia pet type things, gardening gloves and flower pots. My friend Jackie from Willow of Wonder has this same idea–only better, more creative and SO PRETTY! Are you ready for this awesomeness? 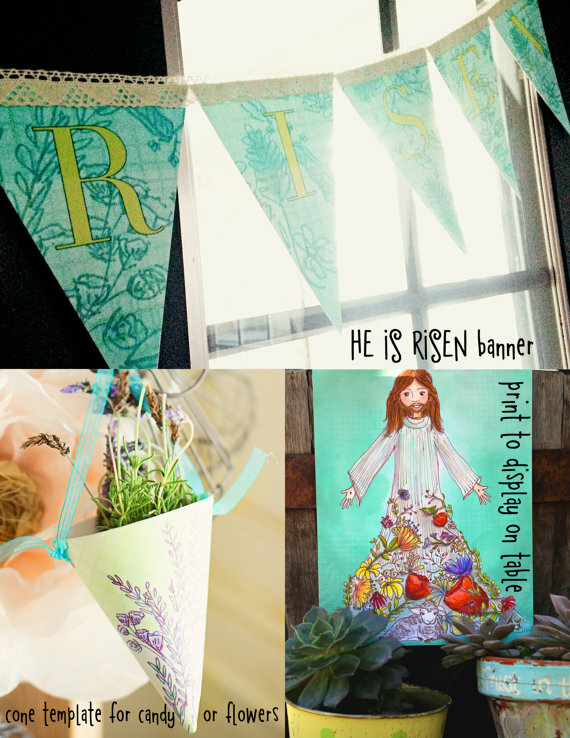 She has designed a whole printable party set to be used for a Resurrection Day party! 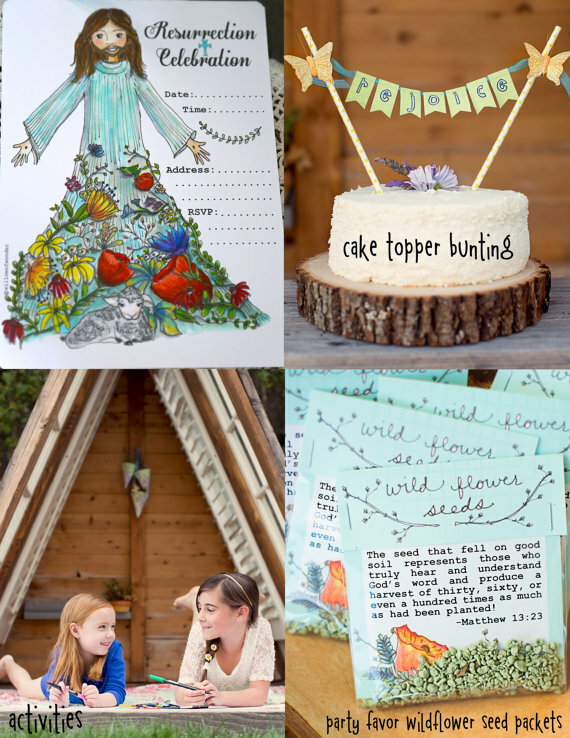 We’re talking invitations, banners, gift bags, placemats and more! I am truly, madly and deeply in love with it. How great would this be for a party with all your kids’ friends? Or honestly, with your own friends?! Or just for your Easter lunch? Ohmygoodness. The possibilities! I love the whole garden and flower theme. 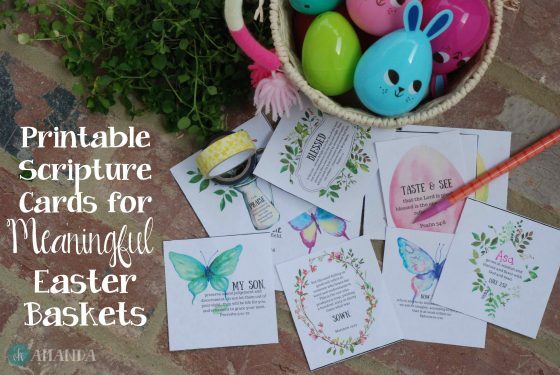 For a basket, I’d print off the seed gift bag, the candy/flower cone and the placemats. Talk about a cheap gift! 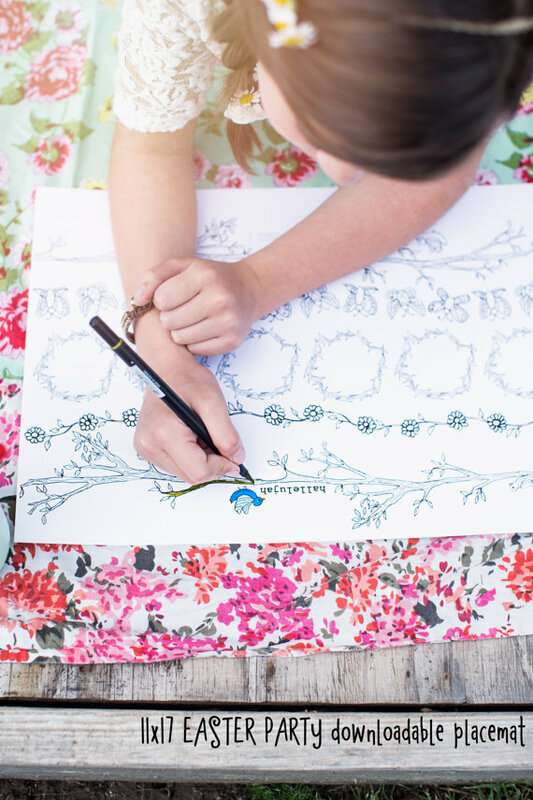 I’m totally printing off those placemats for our Easter picnic we have every year with my family–my niece and nephews will love coloring it! Even if you aren’t the kind of person that has music on all the time, you need some good Bible-based music in your home. 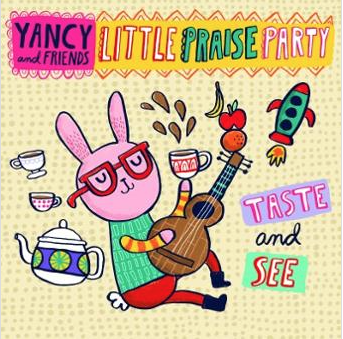 If you’ve been around for any length of time you know my two faves are Yancy and Seeds Family Worship. 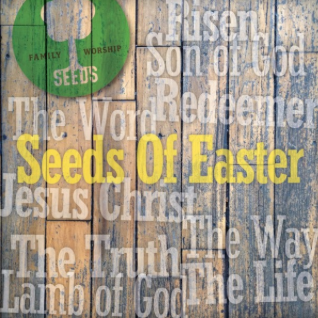 Seeds Family Worship a new Easter EP out which has one new song and then a few from their other CDs that are Easter-themed all put together on one digital download. 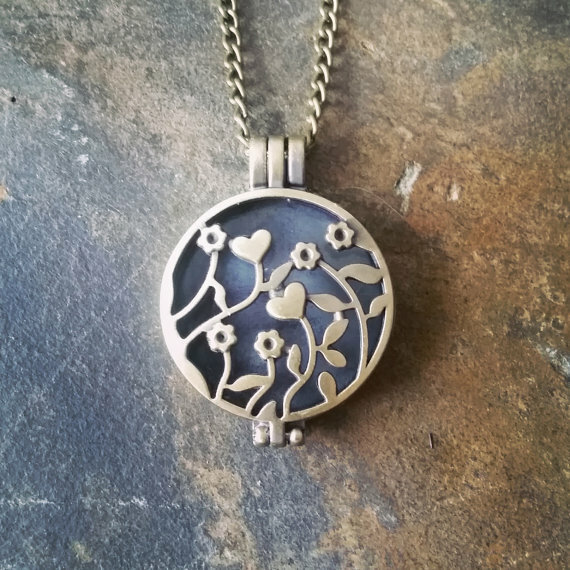 I like jewelry as a gift because it lasts awhile. You might throw away even a pretty cool toy after awhile. But jewelry? It’s a keeper. I love my daughter pulling out a necklace to wear that reminds her of Jesus’ death and resurrection! 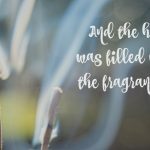 Since the first activity in my A Sense of the Resurrection book is about Mary anointing Jesus’ feet with oil for his burial, I think an essential oil diffuser necklace would be awesome! Just think how great it would be if every time your child put on that necklace they would be reminded of Mary’s gift to Jesus and Jesus’ great gift to us! Here’s some of our Easter basket gifts from the past. 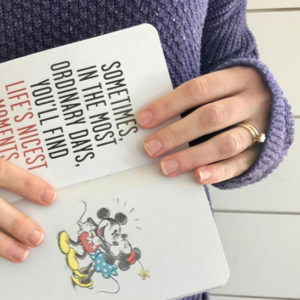 You’ll find lots o’ good ideas here, too!